Fall is fuzzy socks stuffed in rain boots, stomping through puddles and crunching leaves. There's a lot of wiping off shoes on the front porch mat, and wiping off wet paws with a towel every time we come back inside. Our neighborhood is beautiful, blanketed in red leaves, but I am over the wet paws. I've resigned myself to the fact that my floors will probably not be truly clean again until it dries up some, because even when it's not raining, it's wet. Hunley tracks the outside in and I vacuum it all up (while he hides behind the curtains) and then we start over again the next day. Fall is gray days that match gray nail polish. There's pot roast for dinner one day and then BBQ ribs for lunch the next day. Cooked low and slow, in keeping with the pace of the season. Warm, comfort food, is followed by lots and lots of college football. T.J. hardly has any weekends off so if he wants to pace anxiously during the Clemson game, and flip back and forth from espn/cbs/abc and repeat, all day long, who am I to say no? Fall is staying in our sweatpants, only breaking out to see a movie or browse Barnes and Noble for a new book to read. 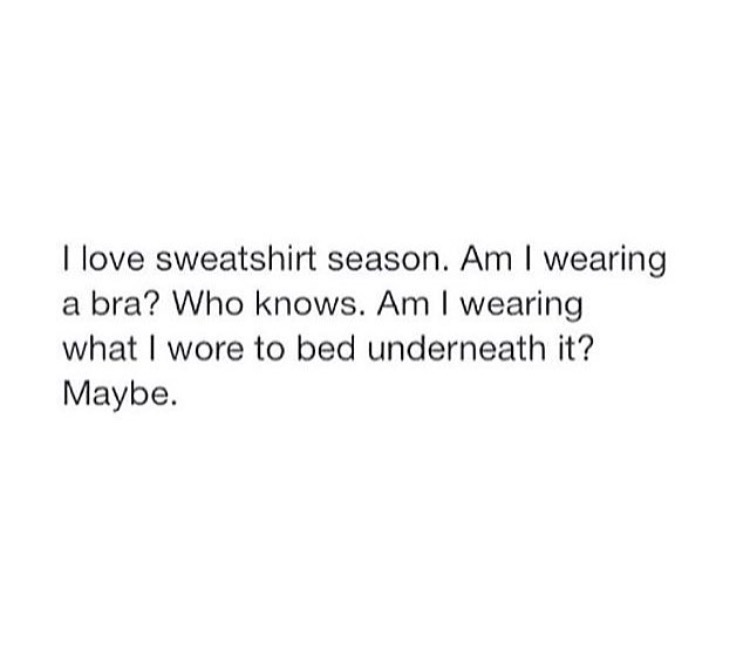 Then its back into sweat pants for a nap on the couch. The days are getting shorter, but everything seems to slow down. It's a time to rest up before the hectic holiday season arrives. I know soon it will be too cold and our daily walks will be more chore, less cheerful so I'm savoring all the cozy, warm days curled up on the couch with my love (and the pup who occasionally sneaks onto the couch and rests his head so sweetly that I can't kick him off). So if you want to fix us a pot roast or slow cook us some ribs while you're home we won't object : ) Your pup is not spoiled at all. It's been raining here for a month and a half. We are feeling all Washingtonian-ha! ♡♡♡♡ I just adore fall! love your nail color and all those cute leaf & puppy pics! i'm ALL about sweatpants (or yoga pants, or whatever's clean) now that i'm an extra wide pregnant lady haha. 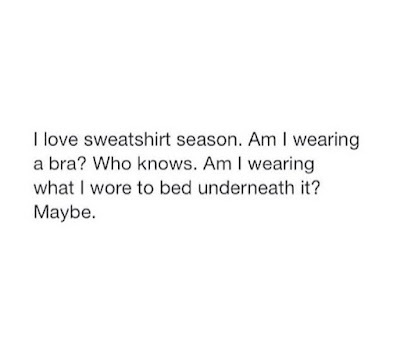 Who wears a bra under a big sweater? haha I'm slightly jealous of your beautiful fall leaves and Hunters... I will be adding a pair to my closet VERY soon!